How to use your asthma inhalers and nebulizer / How to use a spacer / How to use a nose spray / Saline sinus rinse / How to use Auvi-Q or EpiPen / Food allergy / Diagrams for patient education / Action plans: asthma, food allergy, rhinitis, anaphylaxis / See more patient education materials here. Question of the month: What is the best test for food allergy? After a few weeks of clinical practice, medical students and residents realize that patients are often different from classic disease descriptions in textbooks. One experienced physician summarized this by saying: "his asthma did not read the book." How to bridge this gap between theory and practice? 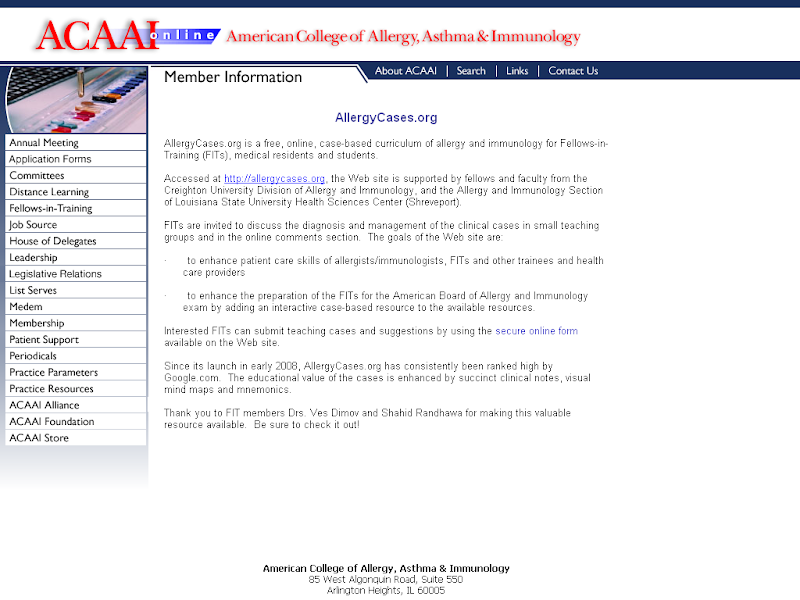 Our answer was to create the free case-based curriculum of Allergy and Immunology you are reading now: AllergyCases.org, endorsed by both the American Academy of Allergy Asthma and Immunology (AAAAI) and the American College of Allergy, Asthma and Immunology (ACAAI). The educational value of the clinical cases is enhanced by succinct clinical notes, visual mind map diagrams and easy-to-remember mnemonics (no real-life case descriptions are included). Please read the website disclaimer below.